At Mother Nature, our pets are not just pets. They are family members with personalities, character, and hearts bigger then we realize! Each dog, cat, hamster, reptile, and fish are all a little different. At Mother Nature we take time to research our products and nutrition, ensuring you will have a quality option for your pet and their individual needs. Think of Mother Nature as a resource for your questions or concerns you may be having. 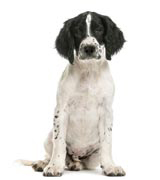 Each of our staff are knowledgeable and specializes in different aspects of pet ownership. We are all happy to answer questions and if we don’t have the answer, we will steer you in the right direction!